A selection of gas and charcoal barbecues suitable for the easy fitting of a rotisserie kit, plus some with a rotisserie already included. 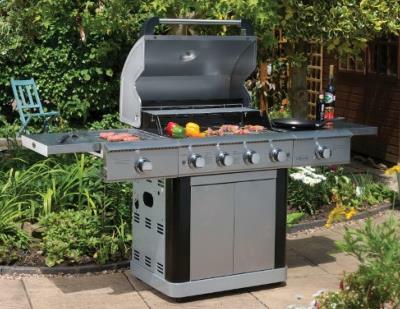 Dancook grills and rotisserie barbecues are the best value for money rotisseries starting at just £39.99 it's an excellent barbecue which you can grill or spit roast your food. 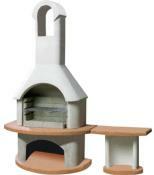 Available in 6 sizes including a portable rotisserie ideal for holidays and BBQ picnics. 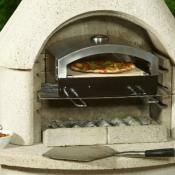 The Barbeskew is a BBQ designed for rotisserie cooking available in gas or charcoal. 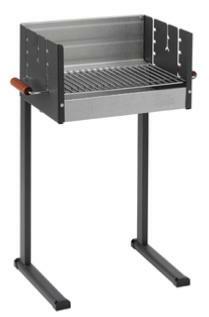 The St Lucia stainless steel 4 burner comes with a mains rotisserie included. 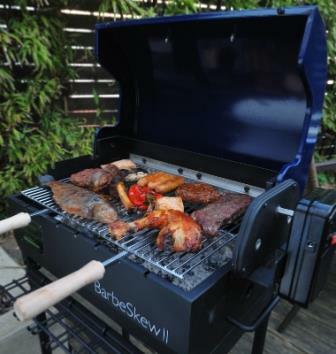 The Barbeskew is a true rotisserie barbecue available in gas or charcoal and includes rotisserie kebab racks and 2 main spit rods. 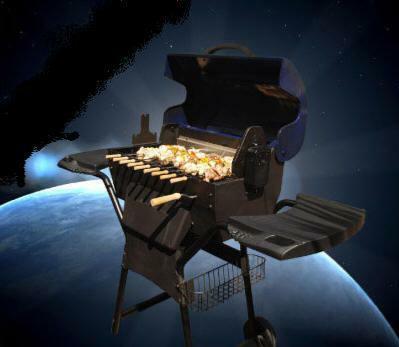 Barbecue anything on this super gas barbecue. Cast Iron Cooking Grills and Griddle. 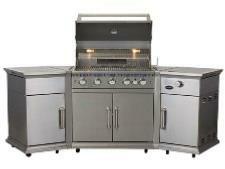 4 Stainless steel burners and side burner and side sizzle station for grilling steaks. 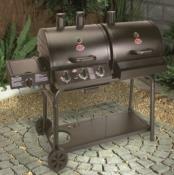 Spit Roast, Grill, Roast or Smoke your food. Its all possible. Plus 9 Motorised Kebab skewers and 3 Main Rotisseries. Try Spit Roasting a Chicken. 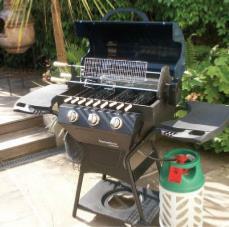 A Top Quality, Heavy Duty Barbecue that will cater for your every need. Heavy Steel Construction Includes: 2 Electric Motors, 9 Kebab Skewers, 1 Main Rotisserie Skewer, Removable Charcoal Tray for Easy cleaning. Featured on Dragons Den and Multi-Award Winning Invention. 2 separate quality motors automatically rotate the food so it's self-basting. Spit roast an whole chicken! Special Offer £50.00 off and Includes a Free Cover and Free Delivery. 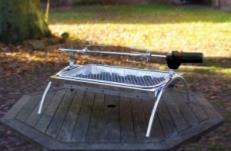 The Asado Instant BBQ rotisserie is great for taking a rotisserie anywhere. Battery motor and, spit rod and forks. All you need to do is add a large instant BBQ cartridge.